What is a Designer Dog Breed? Question: What is a Designer Dog Breed? What exactly is a designer dog breed? Are they the same as hybrid dogs? What makes hybrid dogs and designer dog breeds so popular? Hybrid dogs, often called designer dog breeds, are the results of controlled cross-breeding between two purebred dogs. It is believed that the term "designer dog" was made popular by the media after it was found that many celebrities showed interest in hybrid dogs. The term hybrid is defined by Merriam-Webster as "an offspring of two animals or plants of different races, breeds, varieties, species, or genera." The term can also refer to the genetic crossing of a dog and a wolf (usually called a wolf hybrid or a wolf-dog hybrid). In relation to so-called designer dogs, it describes the offspring of two purebred dogs of different breeds. Hybrid dogs are technically mixed-breed dogs. However, unlike the average mixed-breed dog or "mutt," a hybrid dog has purebred parents who, in most cases, were deliberately bred to one another in order to create the desired hybrid. People have been breeding hybrids for hundreds of years, in some cases eventually leading to the development of new breeds that stand on their own today. However, the popularity and marketing of "designer dog breeds," or hybrid dogs began to increase in the latter part of the 20th century. The reason for creating a hybrid dog is to develop a dog that has the positive attributes of two separate dog breeds. Among the most desired hybrids are hypoallergenic dogs that are family friendly. 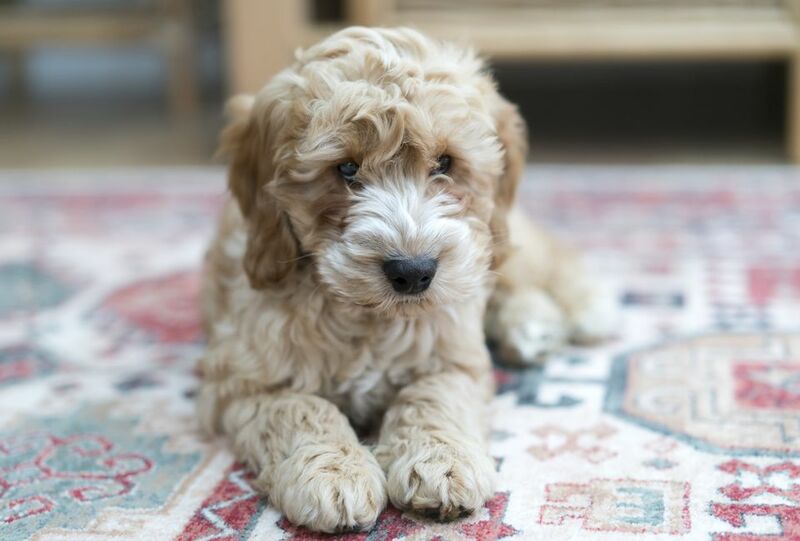 Common examples include the Labradoodle (a Labrador Retriever crossed with a Poodle) and the Goldendoodle (a Golden Retriever crossed with a Poodle). Each variety of hybrid dog is typically called something that combines parts of their original breeds. The "Cockapoo" is a Cocker Spaniel/Poodle hybrid, the "Puggle" is a Pug/Beagle hybrid, and so on. There are hundreds, if not thousands of hybrid dog combinations. While purebred dogs are held to specific breed standards by organizations like the American Kennel Club and the United Kennel Club, hybrid dogs are not quite as well-organized. However, there is a registry with the American Canine Hybrid Club. When breeding two purebred dogs, there is no guarantee that the offspring will come out the same each time. The size, coat type, color, temperament, heath and other attributes can vary much more than breeding two dogs of the same breed. Hybrid dog groups have put together guidelines for each hybrid (similar to the breed standards established by purebred dog clubs). The hybrid dogs that do not meet the standards may be less desirable. This might, in theory, contribute to the problem of homeless dogs. Not all hybrid dogs are 50% of each breed. Only first generation (F1) hybrid dogs are 50/50. Some breeders will breed a 50/50 hybrid to a purebred that represents one of the hybrid's breeds, resulting in a 75/25 hybrid. Hybrids are sometimes crossed with hybrids, possibly resulting in a different combination of breed traits. In any combination, there is still no guarantee that the offspring will take on the desired attribute. For example, not all Poodle hybrids will be non-shedding dogs. Hybrid dogs are often as expensive as purebred dogs, if not more expensive. If you are interested in a hybrid dog, please first consider dog adoption. You might be better off visiting your local animal shelter or rescue group for a desirable mixed-breed dog. If you do decide that your want to get a hybrid dog from a breeder, be sure it is a reputable, experienced, responsible dog breeder who only breeds registered purebred dogs in excellent health without hereditary problems. Designer Dog, Mixed Breed, and Mutts: What's the Difference?